Optometry Australia recommends an eye examination every 2 – 3 years. In some cases, such as people with diabetes or those with a family history of an eye disease such as glaucoma or macular degeneration, this may need to be done more frequently. Similarly, if you notice sudden changes in your eyes – such as a loss of vision, flashes, dark spots or double-vision – you should see an optometrist as soon as possible and not wait until your next biannual check-up. Do I need a referral to see an optometrist? A referral is not required to see one of our optometrists. What is involved when I get my eyes tested? 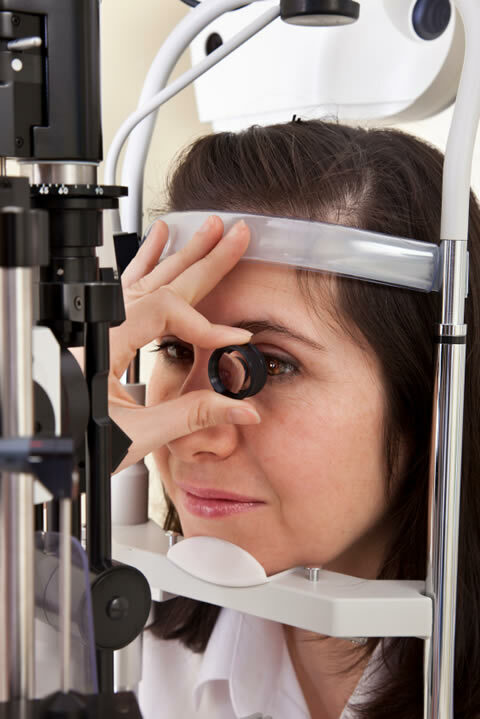 Our optometrists detect, diagnose and treat eye conditions that may affect your vision. Each eye examination is unique to your specific concerns and is determined by your eye and general health history, any family history or any new signs and symptoms. An eye examination will include testing for how well you focus over long and short distances, assessing your eye movements and eye teaming skills and, if needed, checking colour vision and depth perception. Apart from determining the need for glasses, it is very important to check the health of your eyes. This can involve using a series of lights to examine the internal and external structures of the eye, digital retinal photography, plus eye pressure and peripheral vision testing. Many tests can be performed without eye drops. However, in some cases it may be necessary to use drops to dilate the pupils to more accurately assess the health of the back of the eyes. These drops may leave your vision a little blurry and sensitive to light so it is recommended that you wear sunglasses and allow an hour or two before driving. How much does a standard eye examination cost? If you have a valid Medicare card, most consultations are bulk billed to Medicare and there will be no cost to you. What does my private health insurance cover? If you have extras cover, your private health insurance will cover some, if not all, of the cost towards optical devices, such as frames, lenses and contact lenses. For your convenience, most health-fund claims can be processed electronically on your behalf at our practice. Normally, each fund has an annual limit on optical extras (which varies from fund to fund) and it expires each year, so it is important to use your benefit as most funds do not accumulate their rebates. Use it or lose it! At what age should I have my child’s eyes examined? Optometry Australia recommends that eye examinations are performed around six months of age (this may be part of a baby health check performed by your GP or community nurse); then again at around three to four years of age i.e. before starting school. 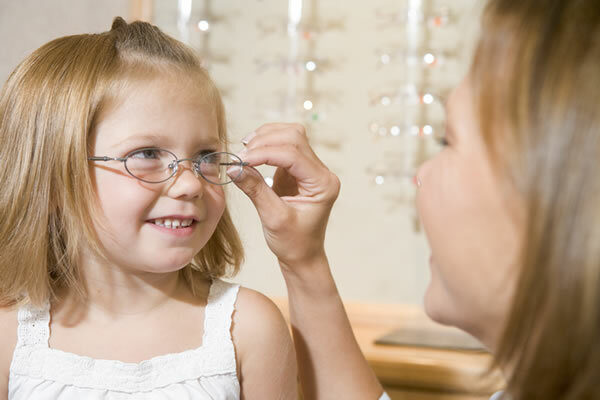 How often should I have my child’s eyes examined? Due to changing visual demands at school, it is recommended that children have yearly eye examinations up to 10 years of age and then every two years. It is quite easy for a child’s eye problem to go unnoticed as they may not realise that they are actually experiencing a problem and may consider that their vision is “normal”. 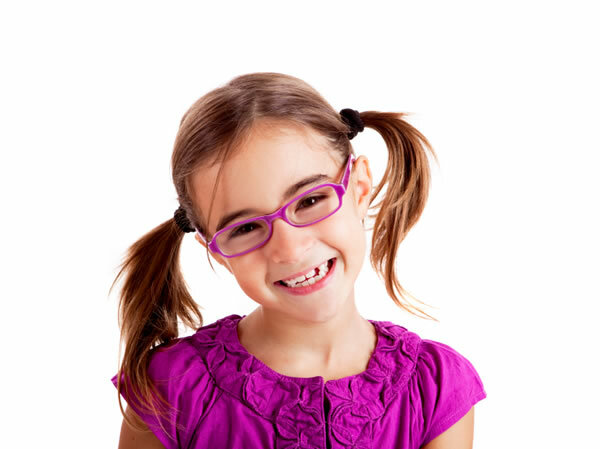 Optometry Australia estimates that approximately 1 in 5 children have some form of vision problem. Good vision plays a vital role in a child’s learning (reading, comprehension and numeracy skills) as well as in social or sports situations. What symptoms could indicate a possible problem with my baby’s eyes? What signs or symptoms could indicate a possible problem with my child’s eyes? Do I need an OCT scan? Not everyone requires an OCT scan but as it is such an amazing diagnostic tool, we do recommend that those with a family history of glaucoma or macular degeneration have an OCT or if you are over 40 years of age. Sometimes, your Optometrist may notice a small anomaly with their regular testing and will suggest an OCT even as a baseline so that changes can be detected even quicker. The Optometrist will discuss this with you. How do I stop eyestrain on the computer? Indicators that there can be a possible problem with computers and eyestrain include headaches, sore, gritty or tired eyes, squinting, blurry vision on the computer or even blurry distance vision after using the computer. It is important to have an eye examination to check that your eyes are seeing comfortably and to their best potential. Make sure you have regular breaks: remember the 20-20-20 rule. Every 20 minutes, have a 20 second break and look at something 20 feet (6 metres) away. Do I need to wear sunglasses? Yes. It is important to wear sunglasses to protect your eyes from the harmful effects of UV exposure and glare. This can reduce the formation of cataracts, pterygium and other eye conditions. We have a large range of sunglasses available, ranging from Cancer Council approved styles to many fashion and sports brands. Can you supply prescription sunglasses? These days most sunglasses can be fitted with prescription lenses (including single vision, bifocals and multifocals), which can also be polarised to help reduce extra surface glare and reflections. Many sports sunglasses (e.g. Bollé and Oakley) that previously could not cater for prescription lenses can now be fitted easily. Call into our practice to find out what can be done. Myopia occurs when the light that enters the eye focuses in front of the retina, causing distance vision to be blurry. For instance, street signs or even the television (especially the subtitles) may not seem clear, but objects up close will be clearer. Myopia can be corrected with glasses or contact lenses. Unlike myopia, hyperopic eyes will focus the light behind the retina and this may cause objects up close to be blurry. Younger people may not notice hyperopia as they have flexible lenses inside the eye, which compensate for this problem by bringing the focus onto the retina so that objects are seen clearly for any distance. However, this “over-focusing” can result in eyestrain for prolonged periods and for some children reading glasses are required. As we get older, the lens loses its flexibility and therefore focusing becomes more difficult so glasses or contact lenses are required. Astigmatism is a common refractive error, whereby light entering the eye has two focal points rather than one. It could be explained that instead of your eyeball being a round soccer ball shape, it tends to be more football or oval -shaped. Astigmatism can be corrected with glasses or contact lenses. Why will most of us need reading glasses? From about the age of 40, a lot of us will start to experience blurry near vision when trying to read, use a computer or smartphone, or do fine tasks such as sewing. Presbyopia (which literally means “old man sight”) begins to occur due a natural deterioration in the flexibility of the lens inside the eye. A common sign is when you start to hold your page out further to read or when you look for better light in order to see more clearly. Once again, glasses or contact lenses can help correct the effects of presbyopia. If I get glasses, will my eyes get worse? No. It is often thought that once you get glasses that your eyesight gets worse. This is not the case. Obviously, when you wear a pair of glasses you will see objects more clearly. Many people will then notice that when they take their glasses off they cannot see as well and think that their eyes have got worse. It is actually that the brain prefers to “see” a clear, comfortable view of the world – not a fuzzy one – and that your perception of how well you see has changed, not your eyes. Glaucoma is a group of eye diseases that can slowly destroy the optic nerve at the back of the eye, which can result in blindness. It is estimated that around 300,000 Australians have glaucoma and half of them do not know. Although the cause is not entirely known, it appears as though damage can be caused by an increase in eye pressure due to poor drainage or from a poor blood supply to the optic nerve. Once there is damage to the optic nerve, your peripheral (side) vision can become affected. Due to the slow, irreversible damage that occurs with glaucoma it is important to have your eyes examined every two years from the age of 40 (more frequently if you have a family history of this condition) to prevent any vision loss. Cataracts are a clouding of the clear lens inside the eye, which gives the appearance of foggy or blurry vision. Our optometrists will examine your eyes to check for cataracts. If the deterioration in vision is bad enough a referral to an ophthalmologist can be arranged to determine whether an operation is required to remove the cloudy lens and put in a new small, clear plastic lens. Macular degeneration is the leading cause of blindness in Australia, affecting 1 in 7 people over the age of 50. The macula is the central part of the retina, which controls the fine detailed sight that is required to read or recognise faces for instance. If the macula becomes damaged your central vision is affected, which makes it difficult to read or do fine tasks. Our optometrists routinely examine the maculae when checking your eye health. I have diabetes, why do I need my eyes tested? Diabetes can affect the eyes in a number of ways. This includes fluctuating vision or the increased risk of glaucoma and cataracts. Diabetic retinopathy is a leading cause of blindness that occurs when the retinal blood vessels leak and damage the retina. As a lot of these changes can occur slowly over time, they may go unnoticed and a comprehensive eye examination may be the only way of detecting these subtle changes. People with diabetes should be tested at least once a year. 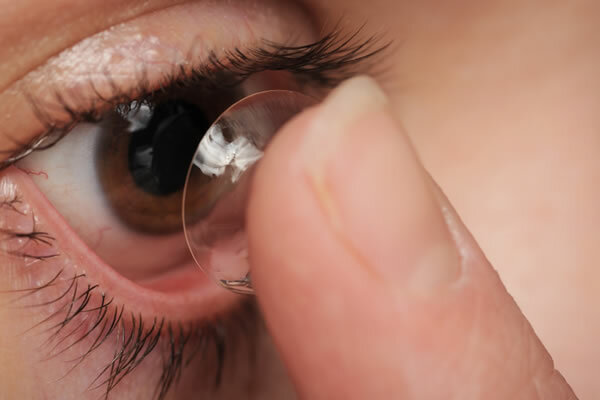 Most people can now be fitted with contact lenses. There are contact lenses that can correct for astigmatism, hyperopia, myopia and even reading problems with multifocal contact lenses. Disposable lenses make wearing contacts even simpler and more comfortable, with daily replacement an option. You can also often “try before you buy” with trial lenses available for most prescription contacts. To have your suitability for contact lens wear assessed, call the practice on 6332 5222 or Request an appointment. Is there an alternative to Laser corrective surgery, so I do not need glasses? For some people with suitable prescriptions, Orthokeratology may be the answer. This involves wearing a hard contact lens at night and the cornea is gently reshaped to help correct your refractive error. When the lens is removed in the morning, most people can manage throughout the day without needing glasses or contact lenses. This is ideal for those with dry eyes, allergies or a dusty work environment who are contact lens intolerant. Our Optometrists can assess your eyes and let you know what may be the best option for you.